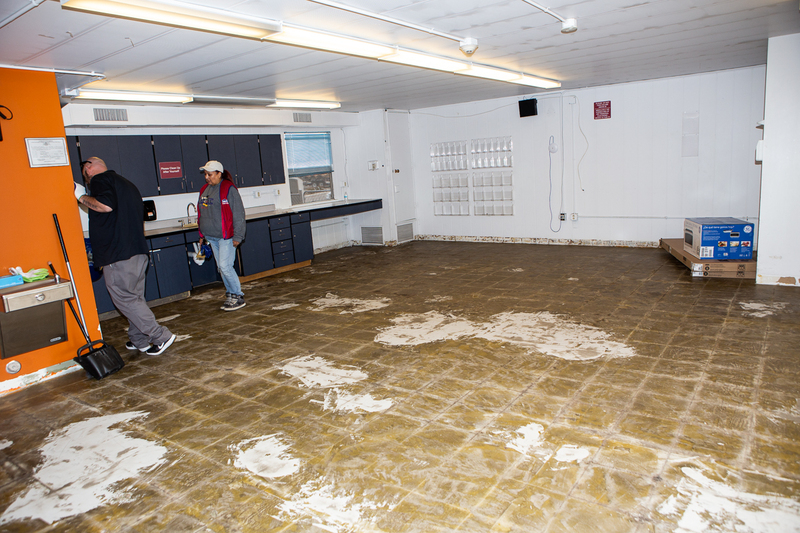 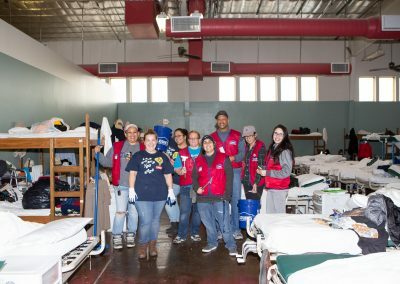 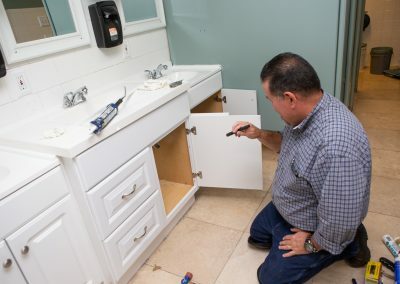 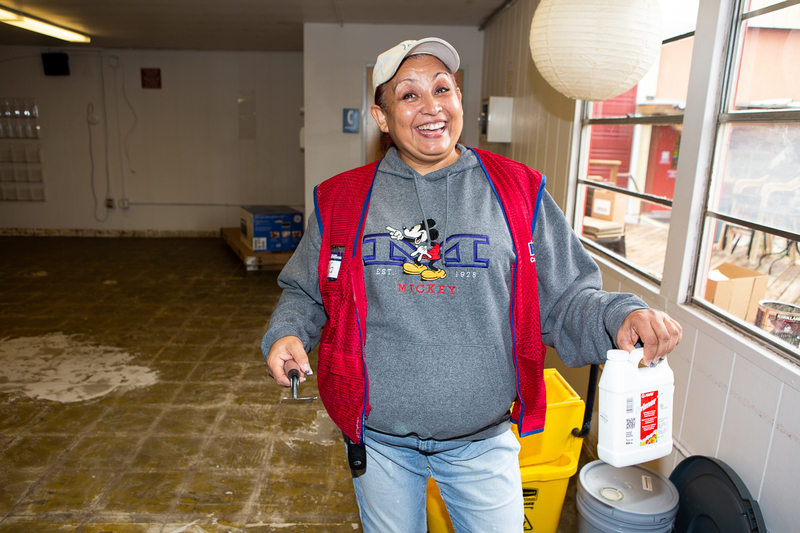 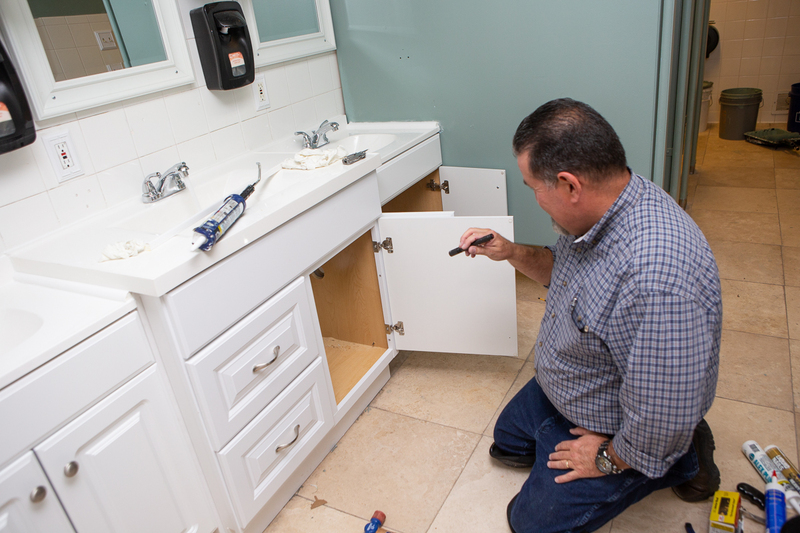 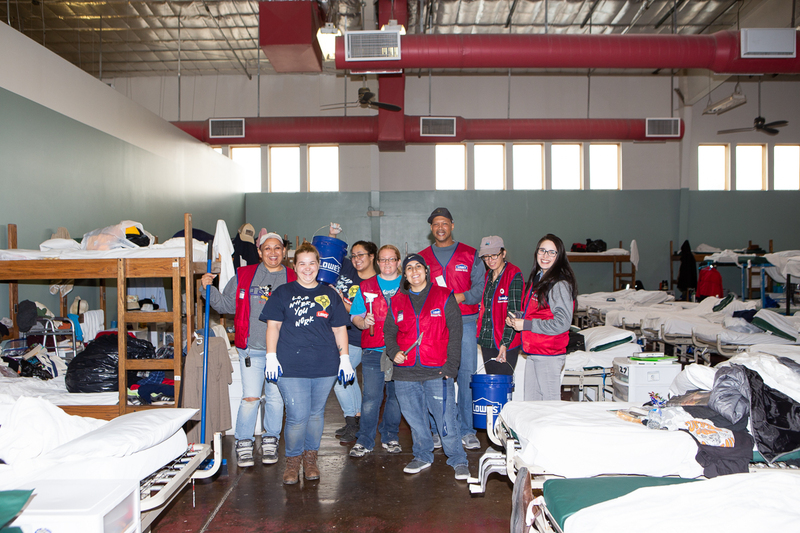 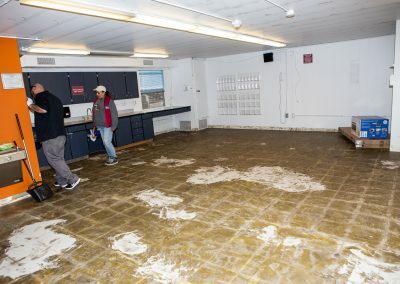 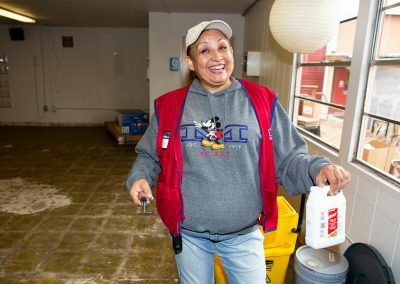 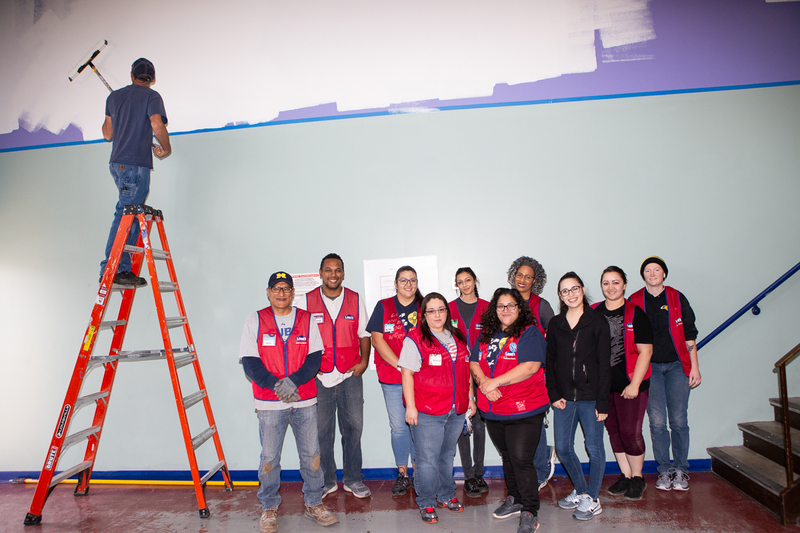 The Albuquerque Opportunity Center (AOC) campus recently received some much needed upgrades by Lowe’s Home Improvement. 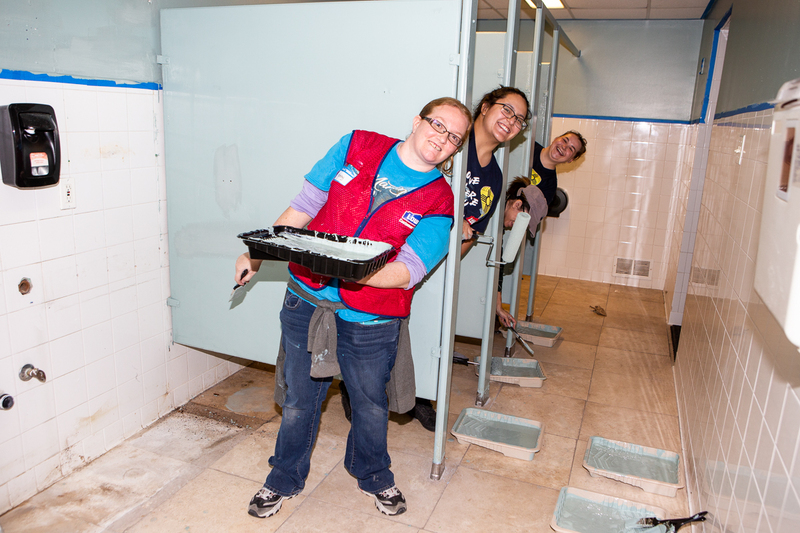 Over 50 Lowe’s employees donated over 200 volunteer hours in four days to improve and beautify our campus! 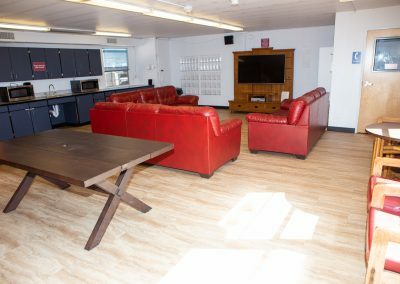 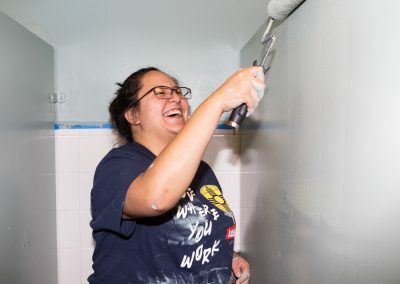 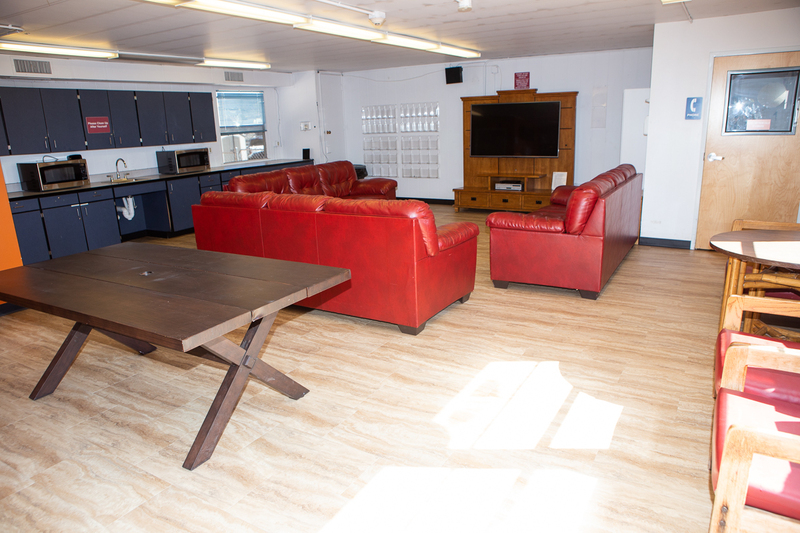 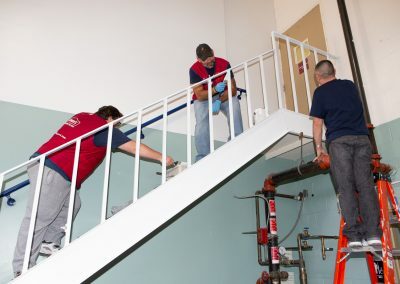 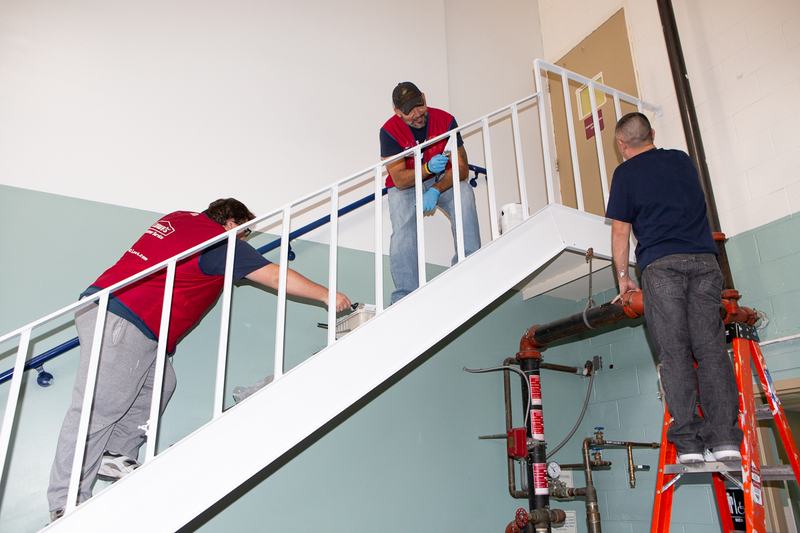 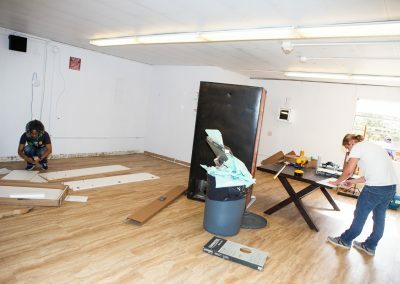 These dedicated workers replaced the flooring in the community room and added storage shelving, painted the AOC dorm bathroom and replaced the vanities, repainted the main dorm wall and two staircases, and assisted with grounds keeping and gardening in the back patio. 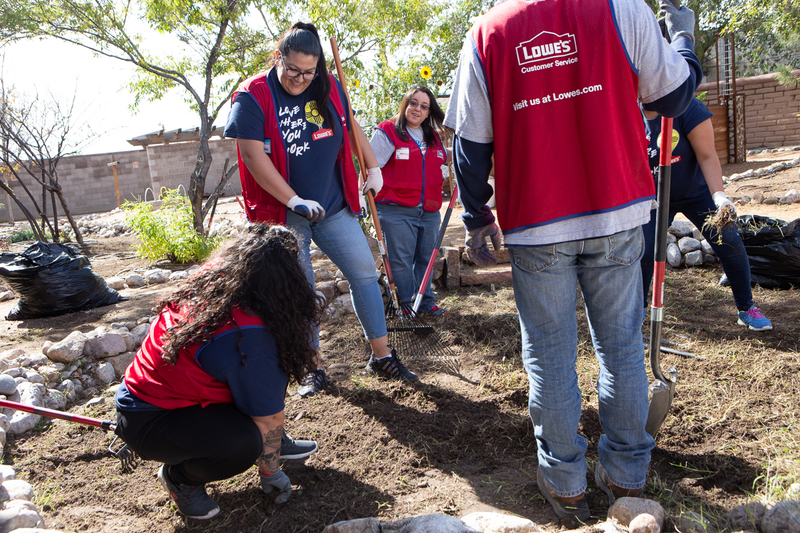 The “Lowe’s Heroes” program provides teamwork and engagement opportunities for their staff while helping local communities. 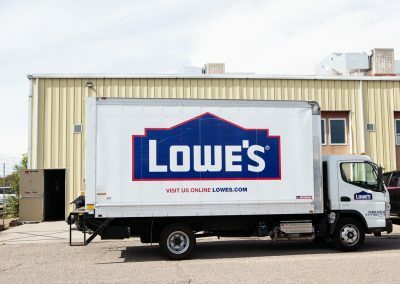 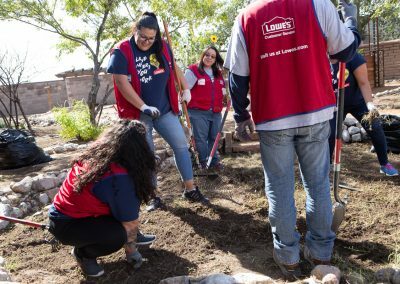 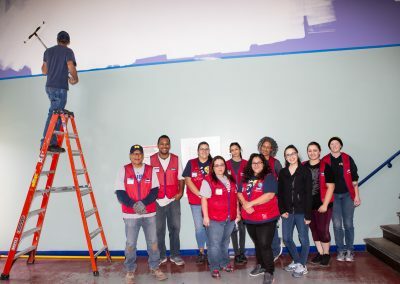 “The program encourages employees in a location to team together, adopt a volunteer project with a local nonprofit organization or K–12 public school and make a difference.” Lowe’s also donated all the materials for this project! 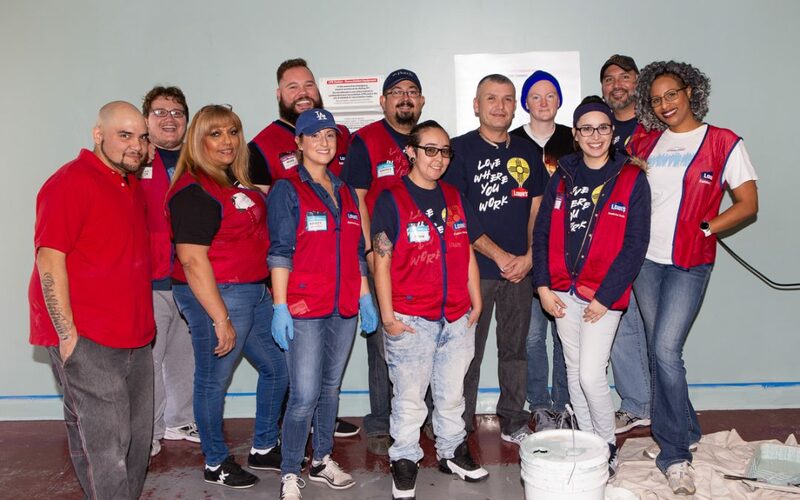 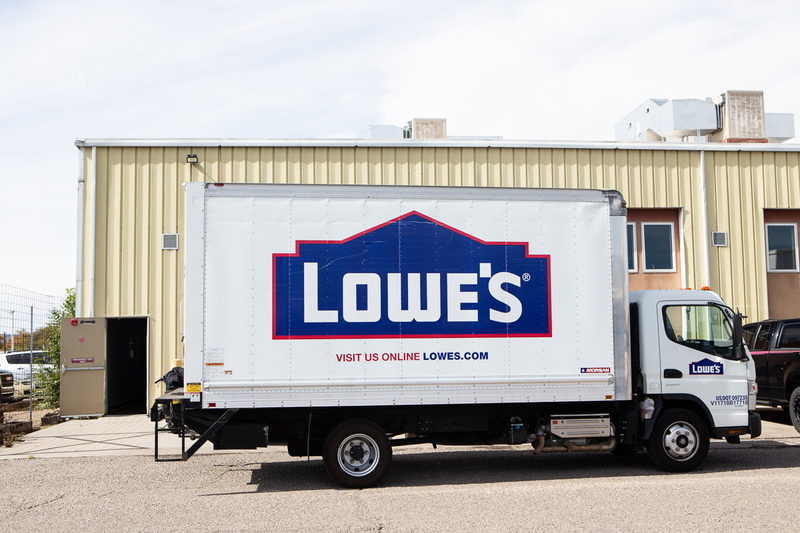 We’re honored and extremely grateful to Lowe’s Home Improvement and their wonderful staff for such a meaningful gift to Heading Home and our clients.